In an attempt to improve my cholesterol levels, I did some searching online and ended up with this recipe for blueberry banana overnight oats. It’s such a treat to wake up each morning with breakfast already in the fridge waiting for me. I found these short Ball mason jars that are the perfect size for these overnight oats. The regular size mason jars are too large for the amount this makes, plus the wider mouth of the one I use makes it easier to eat out of and clean. Along with eating less red meat and dairy, I will try to eat this every morning this year so that hopefully next year my cholesterol levels will lower to a healthy range. I’ll come back here after my health screening in 2019 to let you know how it goes. 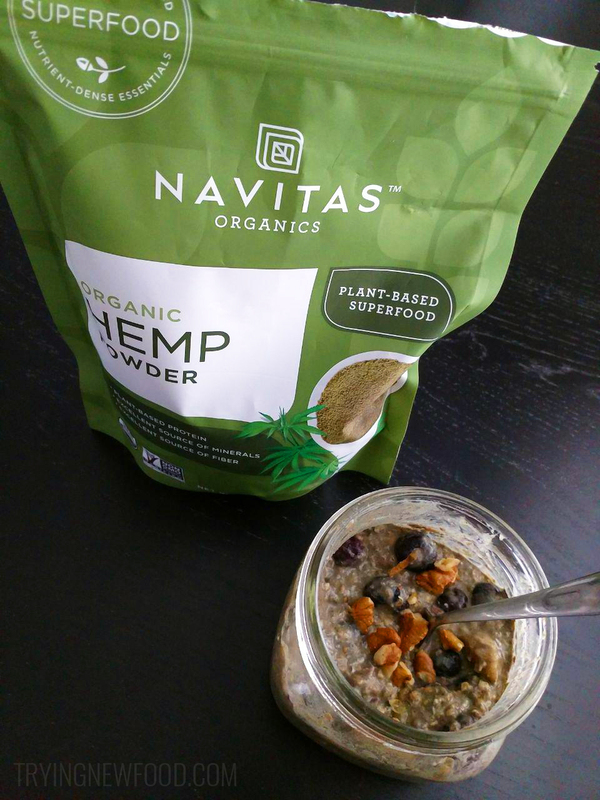 In your wide-mouth Ball mason jar, mix together the quick oats, almond milk, hemp powder , chia seeds, flax seed, vanilla extract and cinnamon. Slice half of a banana lengthwise, then cut up into bite-sized pieces (or to whatever size you prefer). Add into the mason jar. Add in the frozen blueberries and mix everything together. Put the lid on and store in the fridge overnight. The next morning, open up the jar and top with a few walnuts or any other topping you like. Enjoy! Do you have any cholesterol-reducing tips? Or have a favorite overnight oats recipes that’s your go to? Let me know!